Finding a suitable father daughter wedding song depends on just how soppy you want the moment to be. There are some very sentimental songs to choose from that will have even dad in tears, and then there are some more fun and offbeat songs that will complement the moment just as well. Your DJ or Band will usually start your father daughter wedding song straight after your first dance. This can be done with an announcement from your MC or without. It all depends on how much focus you want on you at that time. Just discuss your wants with your DJ, band leader or MC before the wedding so there is no confusion as to how you would like things to happen. Some people choose to do the Father Daughter Dance together with the Mother Son Dance. If you would like to go for this option then choose a song you all like, or see the generic list of song on the Mother Son Dance page. You can also choose to start your father daughter wedding song at a later stage in the evening, say, straight after your cake cutting (if this takes place after your first dance when all the guests are already dancing). This is a great way to get the party started again, especially if you ask any other fathers and daughters amongst your guests to join you. 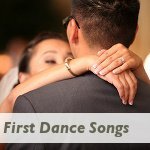 Below are a couple of suggestions for your father and daughter dance song. Some are traditional, some are specially written for this dance and others just happen to work well. Listen to them all and make a choice that would work well for yourself and your dad. 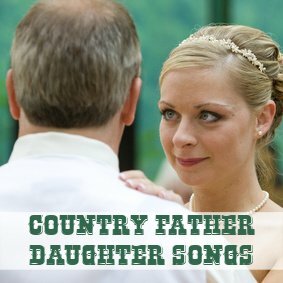 If you are country lovers then also have a look at our list of Country Songs for your Father Daughter Dance. 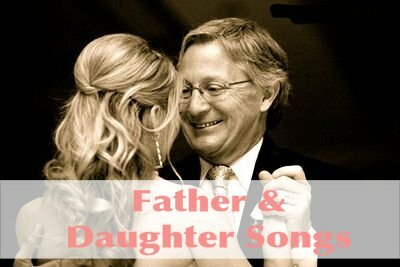 If on the other hand you are looking for something that is not too sappy and overly sentimental, but you still want something to honor the bond you have with your dad, then have a look at our list of 10 Non-Sappy Father Daughter Dance Songs. Do you have family from Europe? Perhaps your dad is Italian or Spanish or Portuguese? Maybe a song in a language other than English would be perfect for your father daughter wedding song. If your dad has Italian blood, then perhaps he would really appreciate an Italian Father Daughter Wedding Song. 1. Instead of the often tear jerking father and daughter dance, why not rehearse a fun line dance, the time warp, Zorba The Greek or something similar. This could be a lot of fun to practice and will definitely get a few laughs at the reception. 2. If you and your father can sing, why not try karaoke instead of a father and daughter dance song? Choose a duet and you can even ask your guests to join in on the chorus. 3. If you or your father is a little shy and you are afraid of being left on the floor to dance the whole song alone, then why not incorporate your mom and the groom's parents as well. 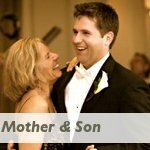 You can even combine the father and daughter dance with the mother and son dance if you like. This way you will not be on your own on the floor and nobody will feel left out. 4. If you like the tradition of the father and daughter wedding song, but your father is not present, then choose another special person like a favorite uncle or grandfather for this dance. 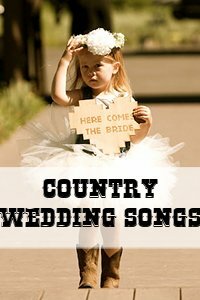 Chosen your father daughter wedding song? Now choose your mother and son song. Have your say about what you just read! Leave me a comment in the box below - any song suggestions are welcome. Love Country Music? Or just looking to add a little Western flavor to your wedding? Click Here for some ideas on great favorites and new hits for your ceremony and reception. 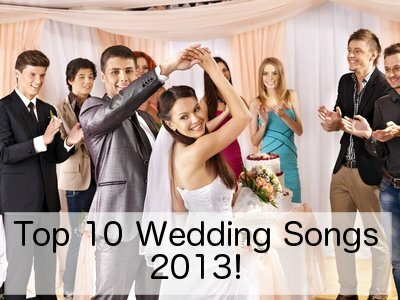 Wondering what the most popular wedding songs of 2013 were? Check out our top 10!